Judge: Dinty W. Moore. More information can be found at northamericanreview.org. The North American Review is now seeking submissions to the 17th Annual James Hearst Poetry Prize. This year’s judge is Major Jackson. The deadline for submissions is October 31, 2016. First prize is $1,000, and all winners and finalists will be published in the Spring 2017 issue. 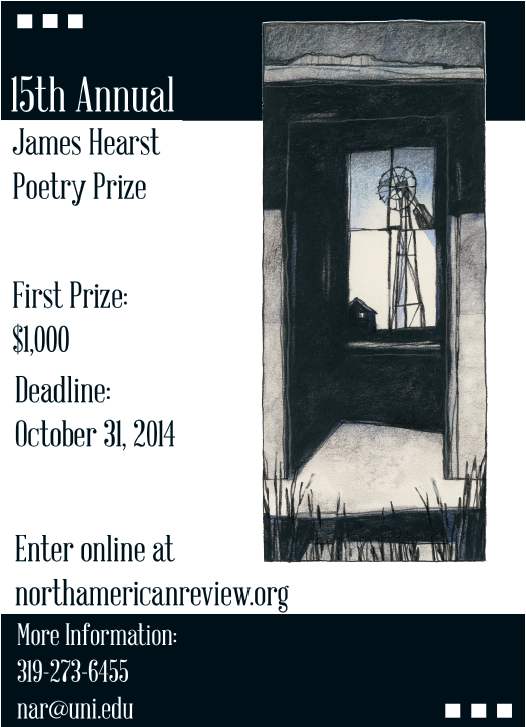 The entry fee is $20.00 and includes a one-year subscription to the North American Review. This year, all submissions to the James Hearst Poetry Prize will be handled through our online submission system. Visit our submission guidelines for more information. These words open our work, even if they’re not explicitly stated. Our fiction holds characters that come from all types of homes. We conjure blended families, multi-generational households, ones that contain fostered and adopted children; we’ve got queer families, racially diverse backgrounds, and created homes with loved ones of our character’s own choosing. There’s no limit to what we might come up with. Our characters are defined by these families. Their backgrounds tell us how they overcome crisis and trauma, or how they ultimately succumb to it. Even if we’re not writing about a character’s family, it’s always there, lurking in the background like a horrible upcoming family reunion. Characters come with domestic baggage. Here’s where things get tricky. The intimate backgrounds of these characters can often extend from our own. Sometimes this is on accident – perhaps a family legend falls into the narrative; the time your father angrily emailed KFC because he hated their new commercials – but it can also be done with malice. Conjuring stories gives us a wild kind of freedom, and how nice would it be to get that thing on paper that’s been bothering you for years? I went home from Tin House and thought about this a lot. I write fiction and essays, and I admit that sometimes the line between those two gets a little smudged. So much of what I am is because of who I was; the people who raised me and what my home was like. I write about Florida, I write about my queerness, and I write about the church. I write to know who I am now, and I keep writing because I am never the same person as I was the day before. 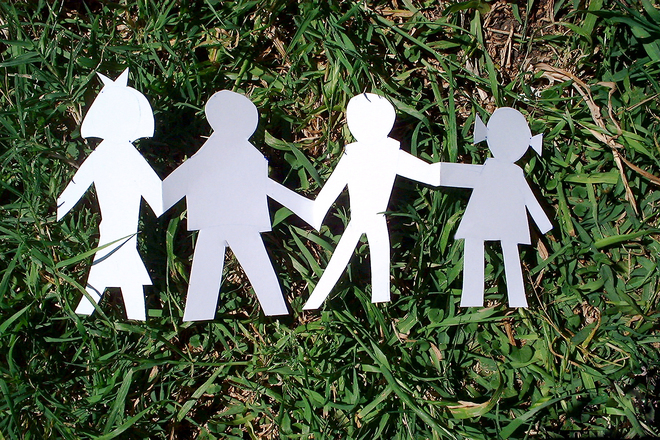 My family is part of that process because I am incapable of maintaining an identity separate from them. It would be tantamount to carving up my body and saying, well, I am mostly just this thigh meat and the neck part. It can’t be done. Fiction isn’t truth, but it contains elements of it. How we write is informed by our environment. I look to my parents and their traditions, and sometimes I say, there’s fodder here for something that once hurt me. Writing about it helps me look at all the sides of these issues – I can look at how they informed me, but I can also better see my own role in them: how I dealt with them at the time, what I took away from those experiences. Coming back from the work shop, I look at these instances in my writing and ask: what’s the ultimate cost of disclosing them? Dorothy closed out her work shop panel by telling us that “you are trying to put something on the page worth what it cost you to put it on the page.” For myself, I took this to mean that my writing is not a way to exorcise demons. It is a way to confront established ideas and reassess them. In my quest for honesty in my work, I am saying that I require honesty from myself before I expect it from anyone else. I am saying that in order to write, I must look at the world I inhabit and understand that I am not the god of it. I live here, but so does everyone else. What I must do in my writing is take a hard look at how I write about family and decide if it rings true; not insert harmful narrative because I want to push it away from me. That’s the most truthful way for me to write fiction. And yes, my father did email KFC – but he won’t mind that I told you about it. Just try not to bring up the Colonel; he’s still a little touchy about it. Each Tuesday we feature audio or video of an SR Contributor reading their work. 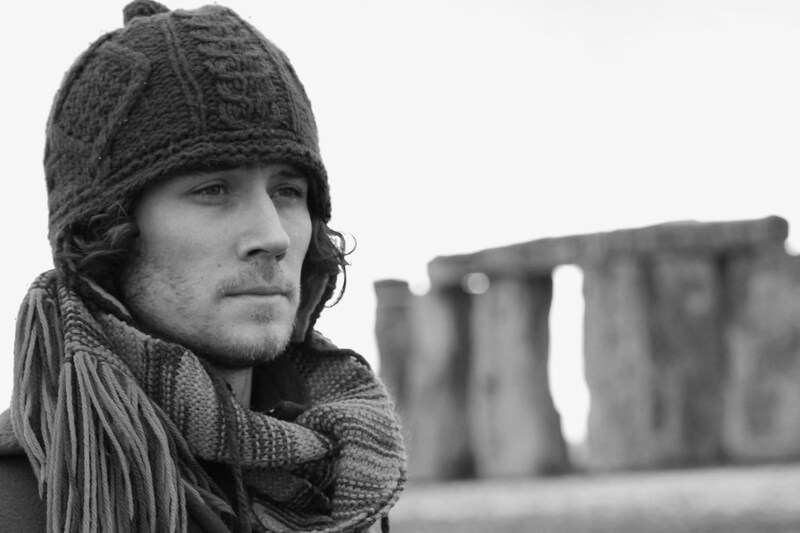 Today we’re proud to feature a podcast by Ephraim Scott Sommers. A singer and guitar player, Ephraim Scott Sommers has performed music in cafes, bars, cantinas, festivals and strip clubs on three different continents. Recent poetry has appeared in Beloit Poetry Journal, Copper Nickel, Harpur Palate, The Journal, TriQuarterly, Verse Daily and elsewhere. New work is also forthcoming in American Poetry Journal, Ninth Letter, and North American Review. Ephraim is currently teaching creative writing while a PhD candidate at Western Michigan University. For music and poetry, please visit: www.reverbnation.com/ephraimscottsommers. You can listen to the podcast on our iTunes Channel. You can read along with the work in Superstition Review. Each Tuesday we feature audio or video of an SR Contributor reading their work. Today we’re proud to feature a podcast by Allegra Hyde. 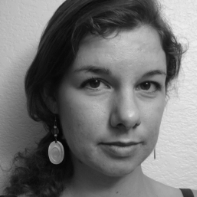 Allegra Hyde serves as prose editor for Hayden’s Ferry Review. Her short stories and essays have appeared in the North American Review, LUMINA, Southwestern American Literature, Bellevue Literary Review, Grist Journal, and elsewhere. She lives in Arizona. All winners and finalists will be published in the Spring 2015 issue. If you have problems with the online submission system or are unable to upload your submission, please call us at 319-273-3026 for other entry options. Rules: You may enter up to five poems in one file. No names on manuscripts, please. Your poems will be “read blind.” Simultaneous submission to other journals or competitions is not allowed. Tips: We have noticed that long poems rarely do well—too much can go wrong in a large space. Poems that have reached the finalist stage in our competition in the past are typically one to two pages (often much shorter). Winning poems always balance interesting subject matter and consummate poetic craft. We value both free verse and formal poems in rhyme and meter—both open and closed forms. Congratulations to the winners! They have been published in the Spring 2014 issue, available now. Finalists of the 2014 James Hearst Poetry Prize. Two hundred years ago, amidst bombs bursting in air, Nathan Hale and a group of journalists created a collaboration of literature to foster genuine American culture within a single source. This collaboration came to be known as the North American Review. Born in Boston in 1815, North American Review (NAR) was a creation of pride in one’s country. The United States had almost won the War of 1812 against Great Britain. Francis Scott Key wrote the “Star-Spangled Banner” and soon the Treaty of Ghent would be signed to officially end the war. NAR has thrived and flourished since its creation in 1815. The magazine exchanged hands several times until it arrived at the University of Northern Iowa, where it currently resides. From famous editors to Cornell College and even a Japanese propagandist, the NAR has quite a history. Famous contributors include Abraham Lincoln, John Adams, Joseph Conrad, Elizabeth Cady Stanton, Chief Joseph, John Steinbeck, Mark Twain, H.G. Wells, Walt Whitman and Woodrow Wilson. Thomas Jefferson even subscribed to the magazine. 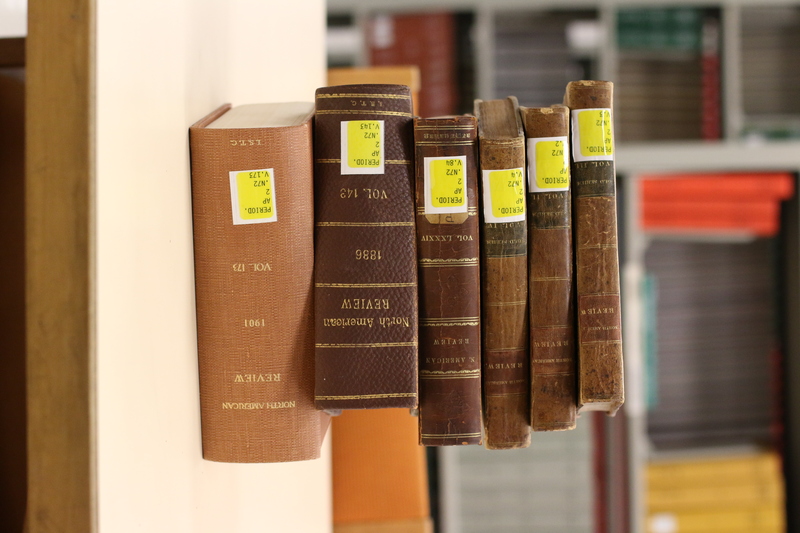 All issues from 1815-present are stored in Rod Library at the University of Northern Iowa and are available online through JSTOR. The 1815-1900 editions are also available online courtesy of Cornell College on their “Making of America” website. Now, on the cusp of its 200th anniversary, NAR is planning a bicentennial conference June 11-14, 2015, on the University of Northern Iowa campus, featuring keynote speakers and a call for papers. Currently at the NAR, we are releasing a special issue celebrating the 25th anniversary of the opening of the James and Meryl Hearst Center for the Arts, located in Cedar Falls, Iowa. James Hearst was a prominent American regionalist writer and “farmer poet” as well as an emeritus professor at the University of Northern Iowa. He published ten volumes of poetry and two prose books in his lifetime. His Collected Poems (University of Iowa Press, 2001) includes 661 works. The Hearst Center for the Arts opened in 1989 as a tribute to his work as a writer and educator for more than three decades. Kelley has created our magazine cover images since the spring of 1992 using mainly pastels on paper. A well-known artist, Kelley has illustrated over twenty children’s books, created the murals in all Barnes and Noble stores, and has nationwide clients including The Rolling Stones, The New Yorker, and The Los Angeles Times, to name a few. Other artists also contribute to NAR, helping showcase the culture of the United States in a collection of history held on the magazine’s pages. We look forward to continuing to collect the history and artistic culture of our nation. Please feel free to visit our website for more information or to submit your work. Rachel Routier received her MA from the University of Northern Iowa and a BA from Iowa State University. She has published stories and poetry in both campus’ literary magazines, The Rusty Nail, and American Athenaeum, and blogs regularly at Lusterville and Lobsters. She worked as the Advertising Coordinator for North American Review during the spring semester of 2014. Photographer Sara Heffernen received her bachelor of arts from the University of Northern Iowa with a degree in graphic design. She owns and operates Sara Heffernen Photography and can often be found taking family portraits, senior pictures, and weddings during the summer months. Each Tuesday we feature audio or video of an SR Contributor reading their work. Today we’re proud to feature a podcast by Martha Silano. 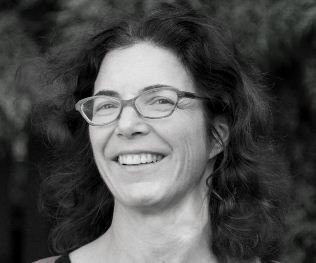 Martha Silano is the author of four full-length poetry collections—What the Truth Tastes Like(1999), Blue Positive (2006), The Little Office of the Immaculate Conception (winner of the 2010 Saturnalia Books Poetry Prize and a Washington State Book Award finalist), and Reckless Lovely (2014), also from Saturnalia Books. Her work has appeared in Paris Review, North American Review, Kenyon Review Online, American Poetry Review, and elsewhere. 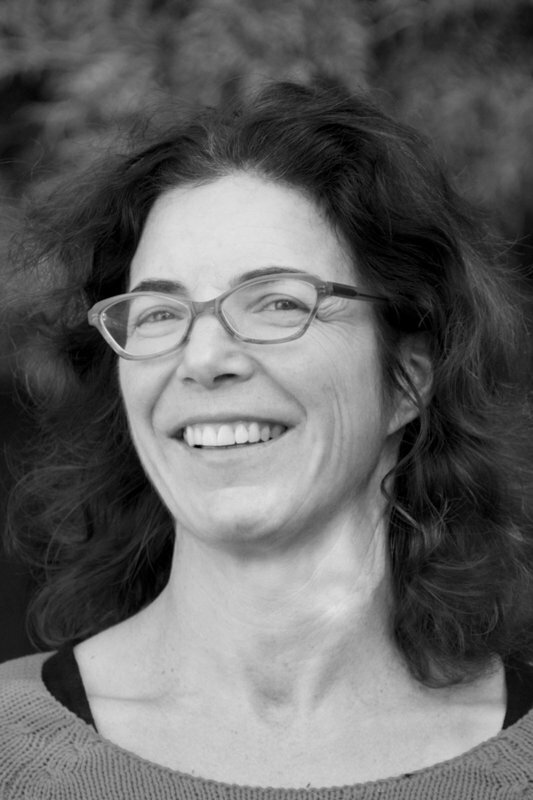 Martha serves as poetry editor of Crab Creek Review and teaches English at Bellevue College.